- After/While entering the Password its taking more time to provide the shell prompt. Here is a solution to fix this issue, this is related to DNS. We have to change dns related entries in ssh config file to reduce this delay. Be careful when doing this on production servers. 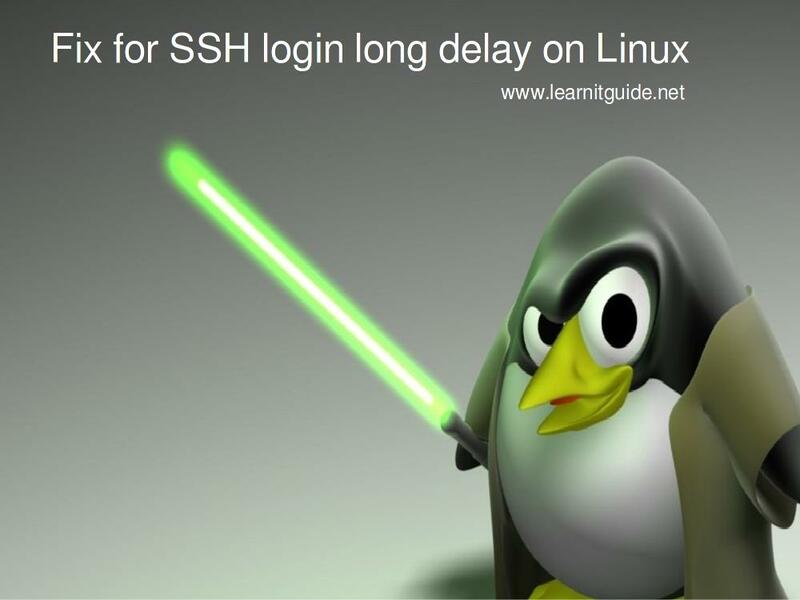 This activity may disconnect all the users from the system who are logged in to that machine using SSH. By default UseDNS option in this file is disable. We have to uncomment this option and then edit this entry to no. As below..
save and exit the file and then just reload ssh service to take effect what ever changes we did..
Now try to login and observe, delay will be fixed.